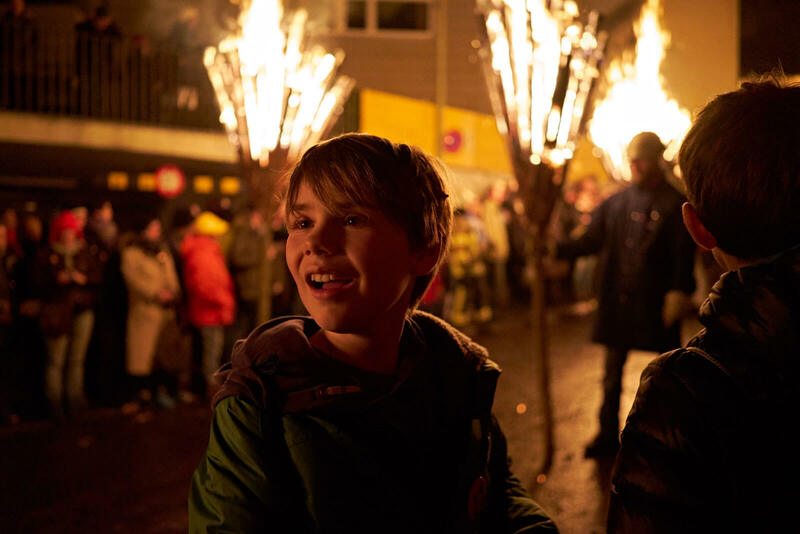 Certainly one of Switzerland's most unique festivals, Chienbäse is a joyous celebration of fire and warmth that takes place annually in Liestal, the capital of Basel-Landschaft. 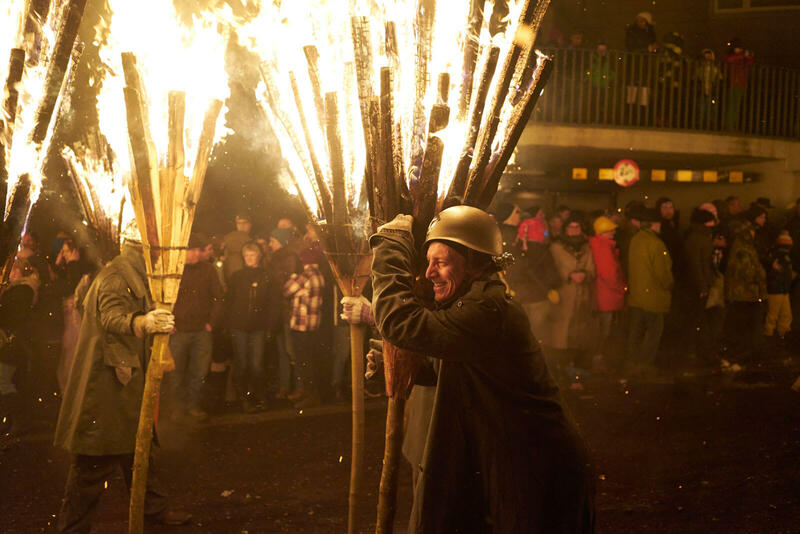 Coinciding with Fasnacht, the traditional northern Swiss Carnival, the Chienbäse Festival takes place on one evening between the end of February and the beginning of March. The fire parade between 7:15 and 10 PM is also a great way for festival-goers to warm up for Basel-Stadt's Morgestraich. 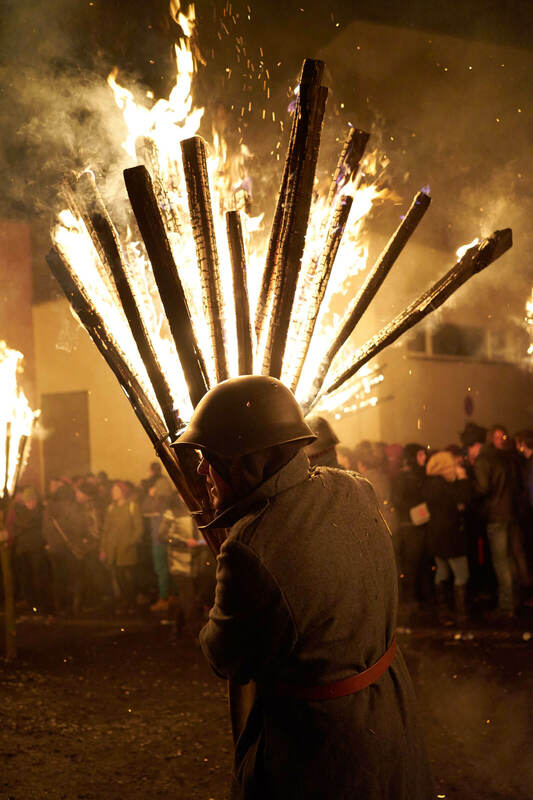 Although it may appear enchantingly medieval, the Chienbäse fire parade was first celebrated in 1902. 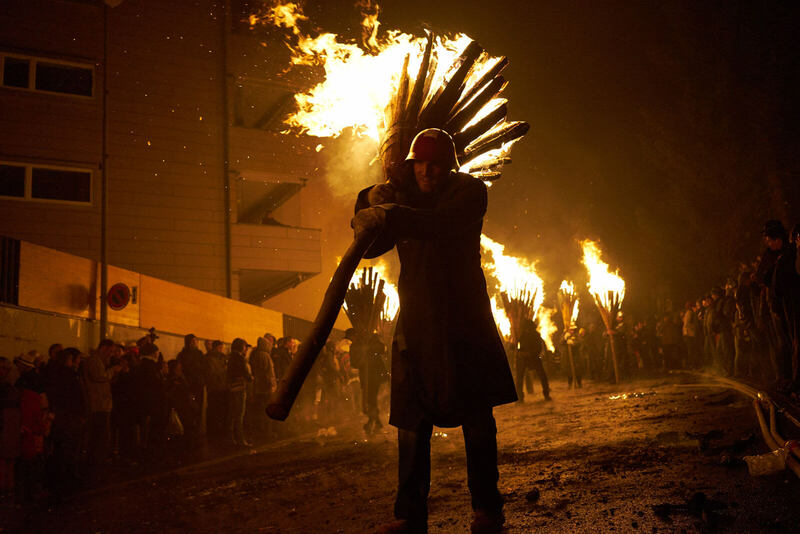 It all started with a small torch lit procession inspired by the much older regional practice of lighting bonfires to signal the end of winter. 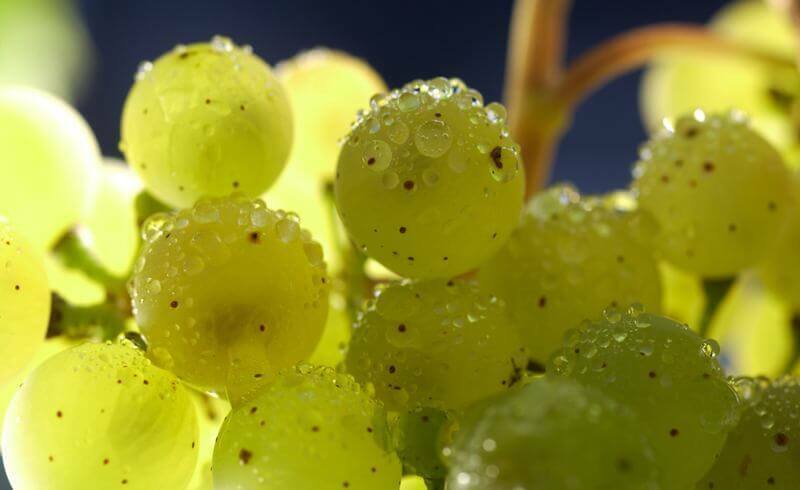 The current form of the festival owes its creation to Eugen Stutz, one of Liestal's master bakers. In 1924, he had decided to recreate what he envisioned as an "old" style of a parade. 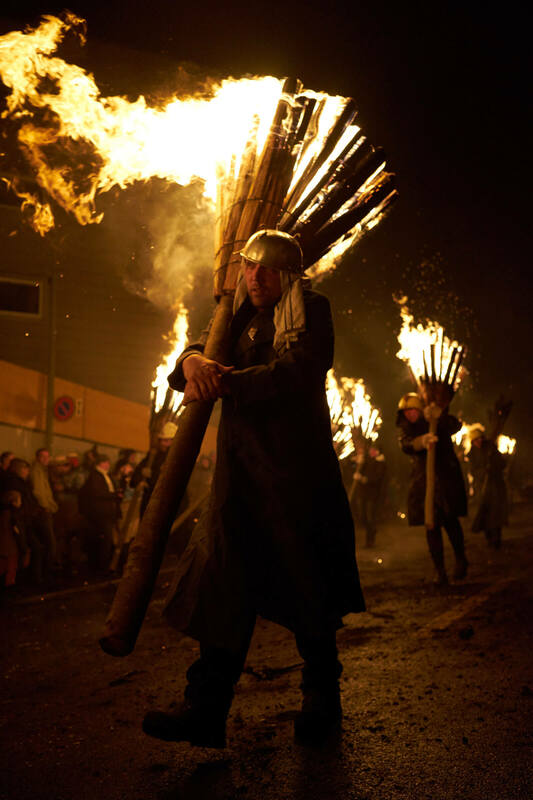 This involved using the sap-laden wood typically preferred by bakers (Chien) to construct large "brooms" (Bäse) which were then marched down through the town. 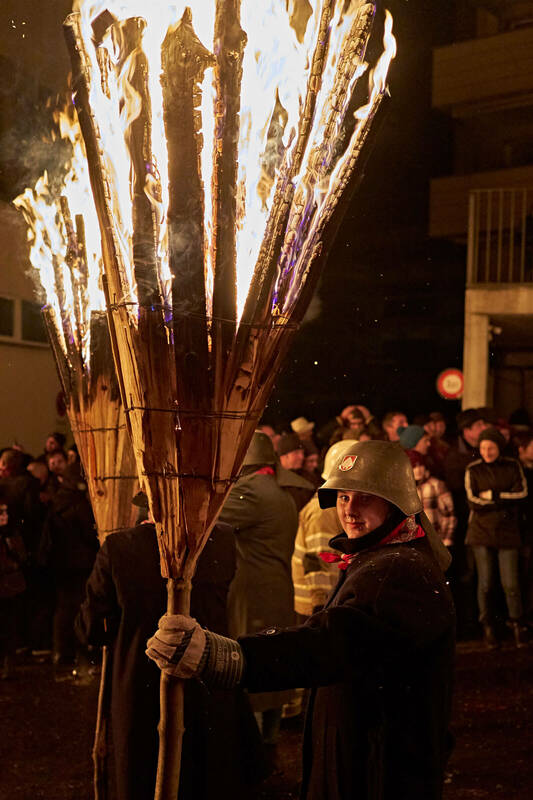 A highlight of Chienbäse is the procession under the Törli, Liestal's famous medieval clock tower. It is quite a sight to watch the firemen hosing down this 700 year old building, while the flames from the brooms and fire wagons lick up and down the painted facade as they pass through the tower gate. Chienbäse is a fantastic event for those wishing to experience a piece of culture that is totally unique in Switzerland. 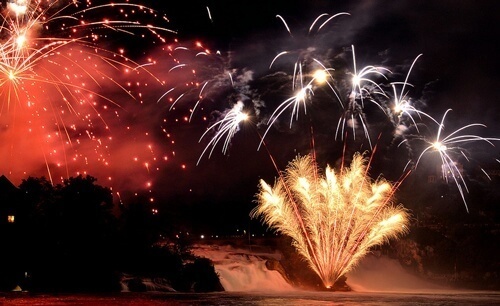 It is also a great event for families. But watch out: it can get very hot! Samuel is a freelance writer and photographer currently based in Lisbon, Portugal. Born in the US, he has spent the majority of his life moving and traveling around the world, including 4 years in Lugano where he met his wife and completed his first degree in Swiss history. 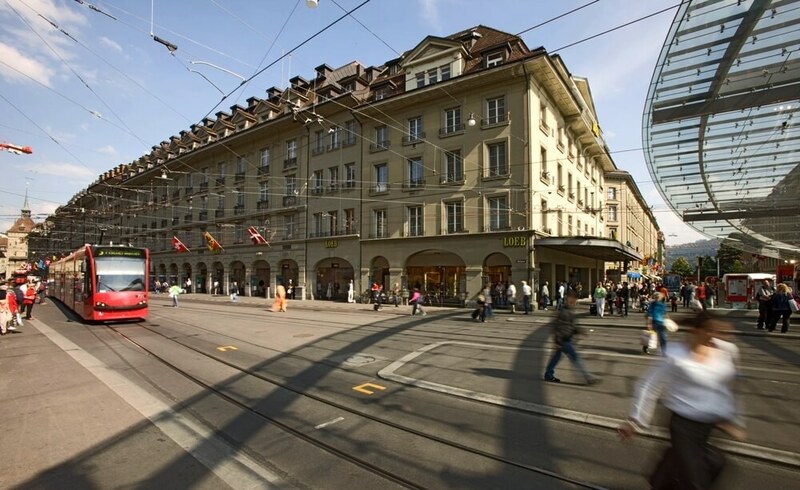 His expat family has now lived in the Basel area for many years, so it’s safe to say his heart belongs in Switzerland.